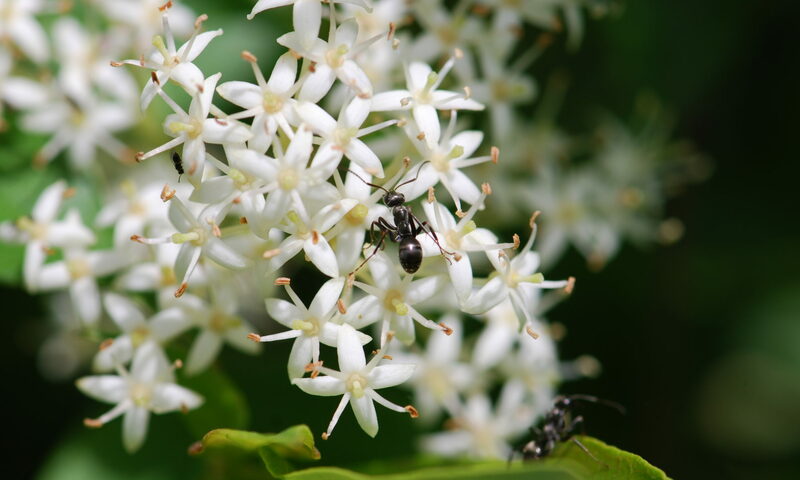 Many species of ants engage in a patrolling or guarding behavior on plants, usually in relation to an ant-plant mutualism, wherein two unrelated species are involved in a mutually beneficial relationship. 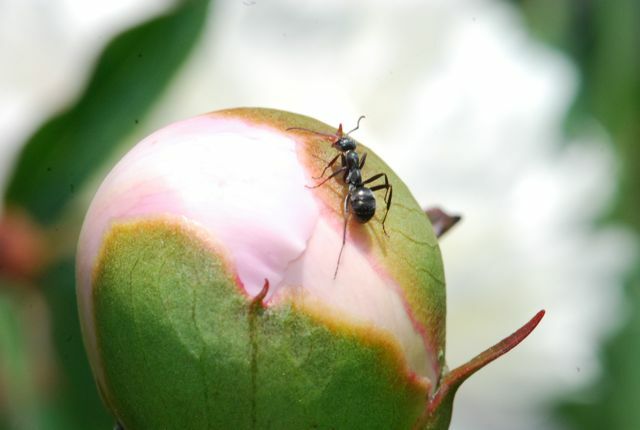 In this case the ants receive the benefit of a sugar-rich substance they consume, while the plants receive the benefit of having the protection of the ants agianst potential herbivores. The species in the photograph, formica fusca (or related ssp. 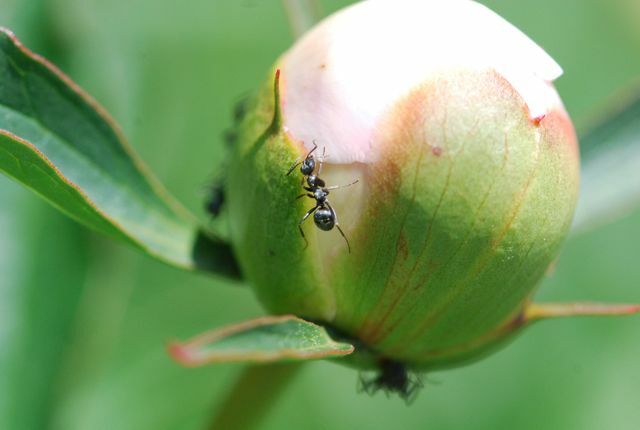 ), commonly patrols certain plant sites within its territory, driving off competitors and herbivores (primarily caterpillars), thus monopolizing the peony secretions as a food source while simultaneously benefitting the plant. Yes, I would agree that is what the ants are up to. The relationships between ants and plants are so fascinating. Hey, do you know whether the peonies have actual structures that produce the sugar-rich substances? Did you take those pics while in NY? They are beautiful. Nothing prettier than a peony and nothing more annoying to us non-ant lovers than bringing inside a whole bouquet of peonies full of ants! Only takes once to learn that lesson for a lifetime! I did take those while on vacation in NY. And btw, the peonies would not be as lovely if the ants weren’t keeping away all the pests that eat them.